“You have more than got this, and I love you. Be brave!” said the Father to his son just before he stepped into the batters box at the baseball game. He could hear his dad in the background cheering for him as the pressure rushed through his veins and weakness started to overtake his legs. Just then, the young 6-year boy takes a swing at his first slow-pitch baseball game. “Strike!” said the umpire as he felt even more pressure. The next pitch delivers what appeared to be a lightning fast 100 mile per hour ball. “Strike two!” said the umpire as the boy felt gripped with fear. “You can do this,” said his father in the background. Quipped with momentary bravery, the young boy took a third swing and didn’t even come close to the ball. “Strike three, you’re out!” The umpire flexed his arms as he motioned the strike symbol. The young, six-year-old boy felt a sense of shame, humiliation, and disappointment all at once. He began telling himself a dozen reasons why he should not continue on playing baseball. Why he didn’t have what it takes. Just then, a voice from behind the dugout between the rusty chain-link fence startled his thoughts and shook him on the inside. All feelings of shame, disappointment, and thoughts of failure seemed to flee. The young boy felt an enormous sense of relief that he knew his father believed in him. They love it. They need it. Its free. So this is all well and good. Sounds like I have it all under control. Don’t be mislead. I’m just onto a really good thing that I know works. Everyone knows that if you find something that works, you keep doing it. If you find success, you keep doing the things that make you successful. This is one of those things. Schedule it and make it happen! Let’s work on it together, so we can bust it out! I can see you have worked really hard. Thank you! I’m so glad you are my son. You used good judgement to solve that problem. I understand what you mean. How would you do it then? Let’s try this again, can you show me your way of doing it? That might work. Let’s try it and see. 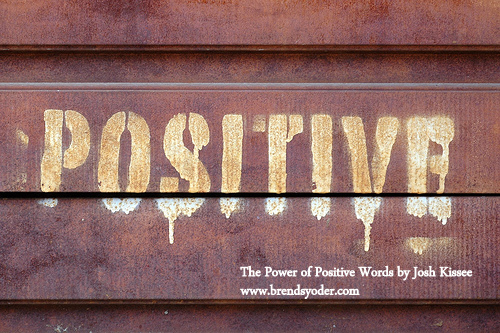 In our next post, we will review the last in our four-part series, The Power of Positive Touch. What have been the best phrases for remaining positive with your son? Any tips to share with the community? Priceless advices. Tips that creates positive bond to last a lifetime and more. Thanks. I wish I was better at this. It’s too easy to nag or pick at the faults. Im trying to talk about how I KNOW they are good boys, even when they have bad days (hitting each other in school), and talk about better ways to react when things happen that we don’t like. Thanks for the reminder! You’re not the only one, Lynette. When I hear my boys snapping back at me, I know something’s out of balance, that they may be hearing more critical statements than positive ones. It’s always good to have reminders that make a difference in their world.